love this idea! @VapeCritic I smell a new video from you doing a scientific method comparison between all your grinders! First, a nug of dry-ish bud that's the same in all of them (showing results), then a nug of more moist bud. This would be really cool! 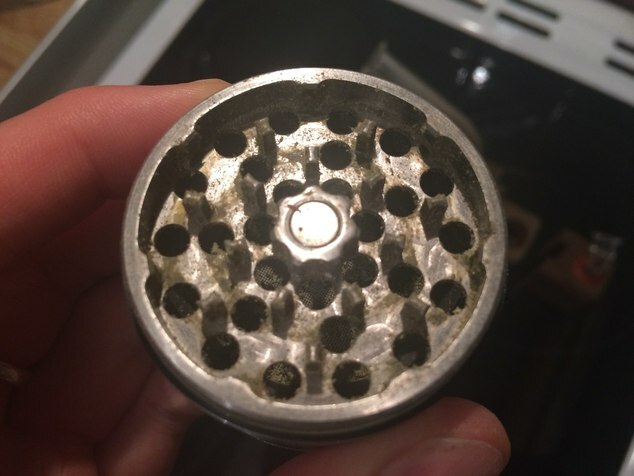 Very few grinders pass this test which is why I only like a few models. 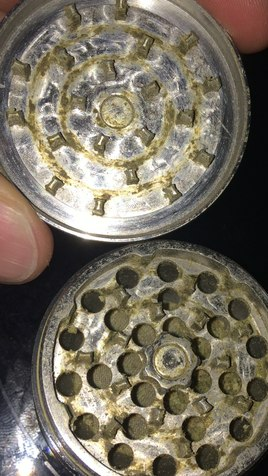 I explained this in my stream this weekend but if you didn't see it I talked about why I'm harder on this grinder than others, it's because I see potential for it to be really great and I don't want to see it be another product that gets stuck at not being quite perfect and stops progessing. It's very close to being excellent but my job is to point out tweaks needed to make it as close to perfect as possible, and this is to the long term benefit of their company, it doesn't help a new business to only get positive feedback from fans. 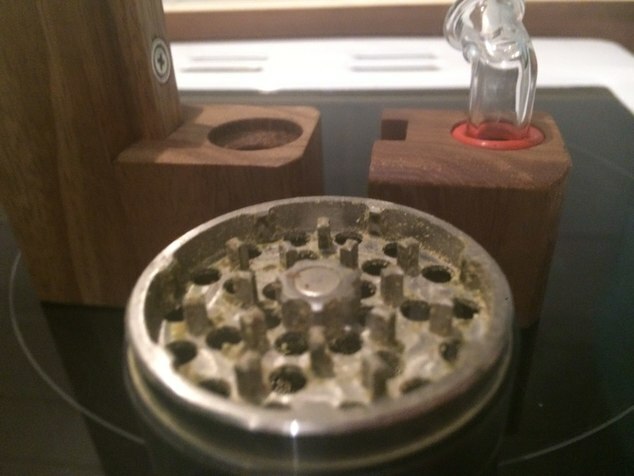 I can only name 4 grinders I like and recommend, and this one is pretty close to being the 5th. as the Ripper is Dishwashable, I'd love to see how clean it comes out? Future.....how come you guys dont just use an old tooth bruch, a little 91% iso and water....and in 2 minutes your done? I just do not understand putting mj stuff in your food cleaning devices.....no offense....just seems odd and unnecessary. 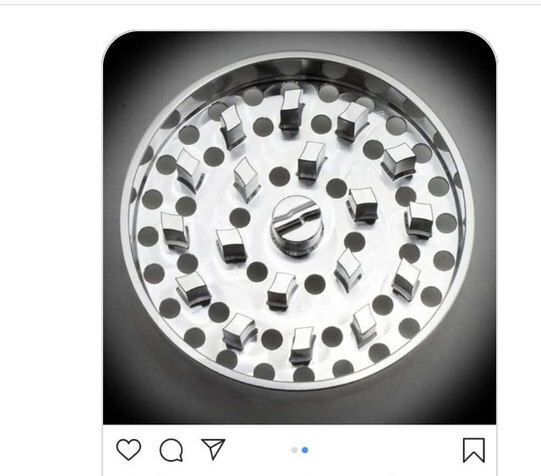 Not something I've ever done, I just remembered in his website/video, something about it being dishwasher proof. Also I found banging stainless steel on Stainless Steel does damage the body "as Stainless is strong/heavy" so try not to bang the parts together and just let your next grind push though the bits of bud you normally try and bang off with aluminium. I’ve found the best way to keep it clean is to not overload it and break the green up nicely. I’ve had this 3 month and used it daily and not clean it once. 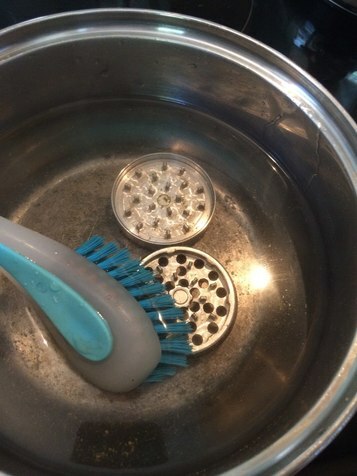 So I thought I’d clean it to see how easy weed comes off stainless steel. That Ripper is brand new, and has been stuffed with wet weed it look like. Can you take a pic of your Space Case so we can make sure you have a real one? 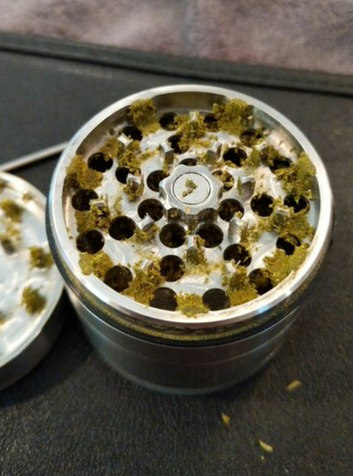 I'm skeptical of your negativity towards it now, because IMHO, HO, they still have the 4-piece grinder thing on lock, it still feels da best and most luxurious, IMHO. The ripper is a boat anchor, it's cool that it's solid but it's too heavy, it won't go mainstream being that dense, IMHO, HO. Potential fix - make some lightening cuts. So you understand, this is what I’m saying. 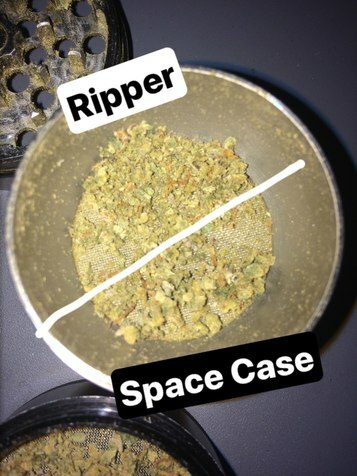 I love my SC had it for a year, got the Ripper fell out with a few times over no coating and teeth, after 3 months of ripper use daily I dug out the SC and I couldn’t believe how different it felt in my hands and I now prefer a lot of the features on the Ripper, especially the grind, quicklock. This is my experience in I’m not trying to wind people up and I got huge respect for everyone here on the forum. I also try to be as positive as I can be and hopefully some people find my content nice and colorful and useful. So does anyone know if tha guy making tha ripper is goin to make a version 3 to improve it even more ??? But what way do you think it should be improved? I’d like the inner holes to match the grooves running down, as there’s a little tiny 1mm ledge because they don’t meet and it just looks like the ledge dosn’t need to be there. 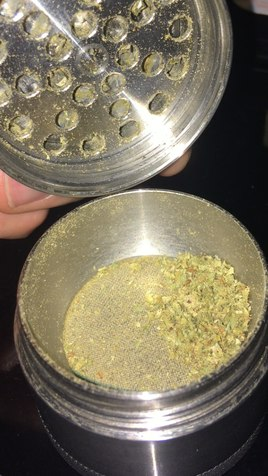 With a non coated grinder there has to be no build up area’s. 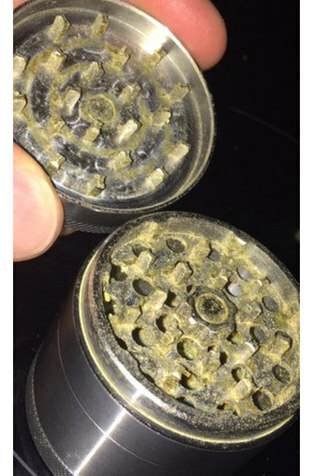 yeah grinders are getting expensive. But the Ripper has an excuse in that it’s made of Stainless Steel and should actually be $250 not $100. I was confused over Buds comments on the Ripper but everyone’s has their own opinion. It’s heavy and I like that. That’s the plan! 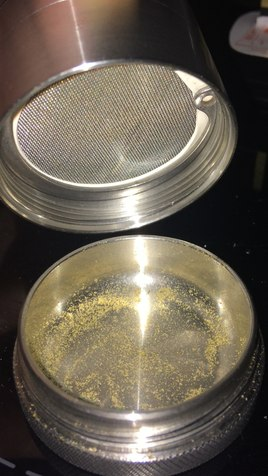 I ordered like 15 aluminum grinders and we are going to put them through the test! Videos will be on the website and Instagram. send us a link when its finished, please ! what can I say, I Love products with a passion that change the game, simplfy and are just ahead of the curve. I have a customer wanting to know about the Rippers grind and if it will work with his Firefly 2. He says he needs a course grind, we are more of a medium/fine grind. Will this work for him? Any help is greatly appreciated! @HerbRipper I had a FF2, the ripper works as long as you don’t try to grind it fine by turning upside down, excessive grinding etc. when I pop in herb and give it a few cranks it’s comes out med. consistency. .. 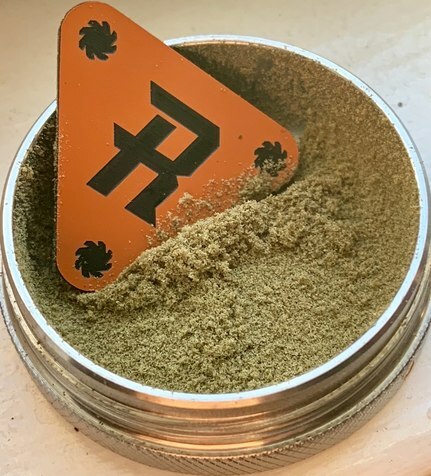 I picked up the ripper 3 1/2 months ago.. nice stock pile of kief already, thx! I gotta a lot catching up to do...nice! love it!!!!!!! Keep on keepin on! How well does this perform using small loads, say 1 nugg? 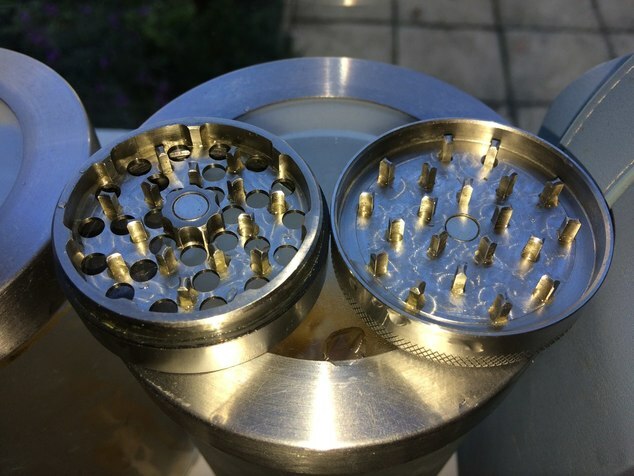 I only grind small loads around .2 - .4g and have been reading that most teeth grinders perform the best when packed full. 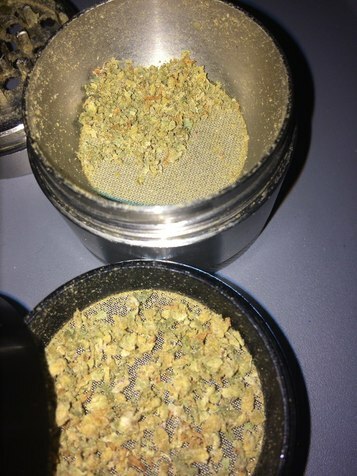 Do you notice a difference with grind consistency when loaded full vs just 1 nugg? Thanks in advance!! 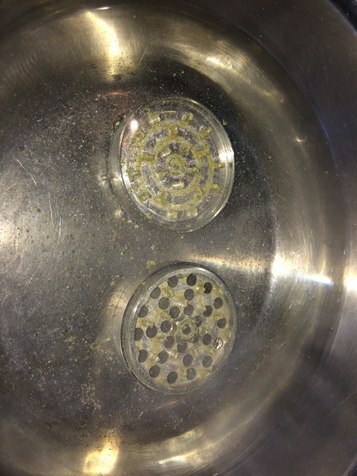 @415vapor You’ll find the grind consistency the same but you will “work harder” with a full grinder. I normally will grind 0.5 -1.5 grams at at time and the smaller loads are easier as would be expected but more importantly the consistency is the same. I am very pleased with the Ripper...it’s the last grinder I will buy. I will say that I am liking the grinder after about 2 months of use. Works perfectly for my MV1. 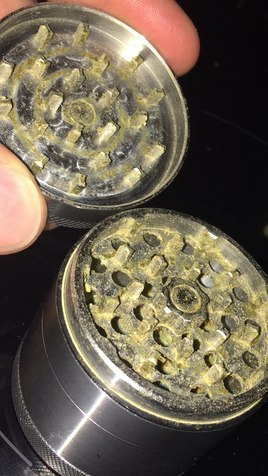 The only issue, as with all grinders that don't have an anti-stick coating is that the messier it gets with moist herb, the harder it will be to grind and cleaning will absolutely be necessary. Anyone here have the 2 piece conversion? Curious what the grind difference is between 2 piece and 3/4 piece upside down? ?